It is important for insurance companies to develop an effective risk-management program and opt for tailored risk solutions so they are able to handle crisis situations with ease. Claims, underwriting and loss prevention all need to work together, therefore, having someone who can implement loss prevention techniques specific to an industry and work closely with a claims team to aggressively manage claims after they occur will helps minimize the loss. Thus, the requirement of a Risk Management Program is essential for insurance program managers. Losses are inevitable and in most cases, disaster strikes without any warning. That is why pre-loss prevention and post claims management is so important for minimizing the impact of a loss. If appropriate risk management practices are not in place, businesses have the potential to experience catastrophic losses. All files requiring defense counsel should be assigned on time. The initial assignment to the defense counsel should provide instructions on how the adjuster proceeds with the claim. Any issues or disputes are brought to the defense counsel’s attention with a request for recommendations. A litigation budget is then submitted by the defense attorney outlining the projected cost of defending the workers’ compensation claim. The adjuster provides defense counsel with on-going instructions on how the adjuster wants to proceed with the claim. All reports from the defense counsel are reviewed and answered as appropriate. Finally, all billing from the defense counsel is then reviewed and approved. Though acquiring the right insurance is vital for any business, it is only one part of good risk management. Risk management is much more extensive than looking at risk through a formal procedure. Risk management is the categorization of estimates and financial control of risks which may jeopardize the assets and the earning ability of any business. For ascertaining the risks of a specific business, it is essential to embrace every detailed aspect of the business, from the most common of risks to any form of special risks a particular business might have. This process includes legal, financial, human, intellectual and technical risk issues. Also, industrial risks such as economic predictions and product development and non- industrial risks such as fires and floods. Depending on the type of the risk identified, financial damage can be dealt with or controlled by shifting the risks to various forms of insurance or through mitigation via various business practices and policies in-house. In addition, the risk-management program should consider the probable financial damage that could result from any particular risk in order to pre-assess appropriate action. A skilled and proactive adjuster knows the nature of the injury, the cause of the injury, treating physician’s diagnosis, prognosis, treatment plan, and the return-to-work status. Understanding these issues, the adjuster has the ability to assess the potential severity of the claim and determine medical management resources needed based on either an experience or predictive modeling tool. The adjuster should know medical terms for “malingering” and is able to suggest a physician peer review early on to assist in determination of causality and, later on, to evaluate a treatment plan, RTW goals and impairment rating. The adjuster must understand the types of nursing support available (i.e. triage, telephonic, field-based, mental health, chronic pain programs and telephonic disability management.). On severe claims, the adjuster may coordinate the nurse case manager’s involvement with the claim. The initial file reserves are usually set at the completion of 3-point contacts and within 72 hours of the claim being reported. Once the adjuster obtains the initial records, the reserves are reviewed for accuracy. Any subsequent medical records or other information impacting the value of the claim usually results both a reevaluation as well as changes to the file reserves. On severe claims, where the file remains open for an extended period of time, the reserves must be checked for accuracy every 6 months. Risk management helps prevent as much risk as possible while reducing risks to a level that is at least somewhat endurable for the business or organization. There are however, still some risks or events that cannot be fully prevented or controlled, therefore it is important for businesses to build effective response and recovery plans. Here in comes the work of Pre-Loss Prevention and Post Claims Management team. 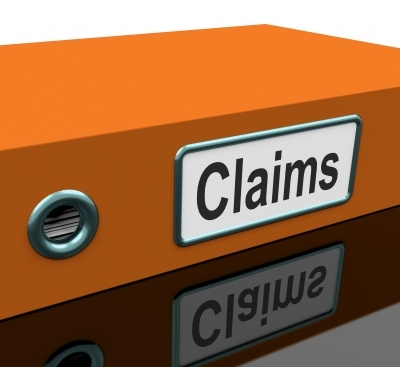 They work with a different perspective delivering timely and uniform claims adjustment services. Provide in-depth knowledge of various financial reports and have a complete understanding of all loss prevention policies and procedures. Continuously seek to upgrade current Loss Prevention practices while ensuring there is DC compliance with national policies. This leads to coordination with implemented laws, management and regulatory bodies. Promote a positive work-relationship with management. Conduct investigations of any incident causing major loss including accidents and critical injuries or incidents with probable cause for injury or property damage. Recommend proper counteractive measures, contrive controls and program improvements as required. Also, conduct store claims management investigations to determine the main cause and offer remedial measures. Minimize monetary loss – mainly through external and internal investigations, inbound and outbound audits and technical errors. It should also recommend appropriate corrective measures for any of these losses. Operate as a link between non-unionized and unionized employees and make sure that the goals of each department are met while making sure that the business needs of all external and internal customers are met on time. Complete all required reports in timely and professional manner with attention to detail. Communicate and execute measures to minimize the company’s coverage of loss of human life, property and other possessions and promote a secure environment by executing corporate policies. Detect possible shrink concerns and provide effective management proposals and work impartially with the various levels of management. Auspice, an independent risk management consulting firm that operates nationally, is comprised of a team of industry experts who are known for understanding and offering outstanding customized risk management programs to risk managers, insurance program managers, brokers, and agents. They have an outstanding track record for delivering customized pre-loss prevention plans by acting as an outsourced post claims management team. To learn more about pre-loss prevention and post claims management contact Auspice at: 484 467 1963.
what about the advantages of post loss risk management?